If you’re a fan of sneakers, then you must’ve had some sort of struggle with your shoe laces before. There are times when you tie your laces too tight and have to kneel down to untie them to take off your shoes and there are times when you hide your laces inside your shoes to make your sneakers look cleaner, but end up hurting your feet throughout the day. A brand from Canada, however, had come up with a simple innovation called “Xpand Laces” that enables you to slip your shoes on and off quickly while maintaining a comfortable fit at all times. Xpand Laces is an elastic no-tie lacing system that can be installed onto all shoe types including casual, athletic, boots, and even kids shoes. Each lace system includes 2 Laces, 4 Lace Anchors, and 4 Lace End Clips where you can choose to do “Stealth Mode” and tuck your laces inside for everyday wear or go with “Visible Mode” and ensure easy adjustment on the outside. The laces themselves comes in one size that fits all and can be cut to your desired length (mostly shorter for children). Not only do the Xpand Laces help reduce hot spots and foot pain on your favorite running shoes, but the “neon reflective laces” can also offer a safer nighttime exercise experience. Also, with all the shoe-tying struggles all gone, you can be sure that even your kids can slip on their shoes by themselves and be ready to run off to school in seconds! There are over 40 different colors and patterns to choose from, including neutral, reflective, neon, camo, and rainbow colors in almost every shade. Each pair of laces is priced at $9.99 or about 329 THB, while a pack of 3 pairs goes for $25 or about 824 THB and a pack of 6 pairs goes for $35 or about 1,154 THB. Since Xpand offers free international shipping for any orders of 4 pairs and more, you might want to bring in some friends for this deal. 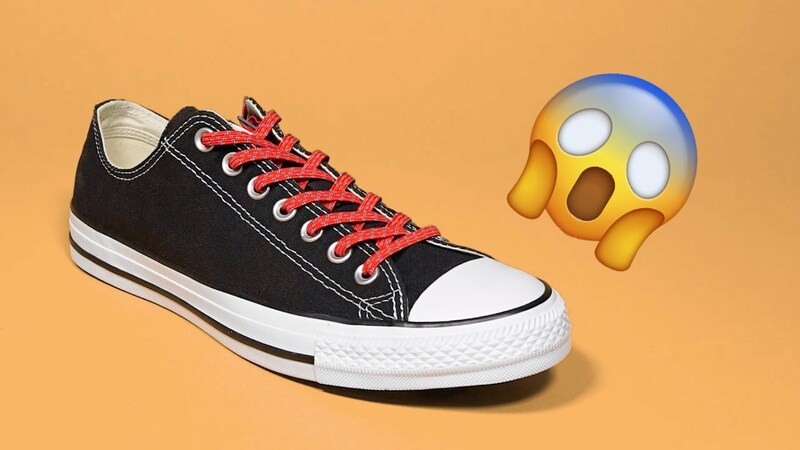 These elastic laces may come at a higher cost than you’re used to, but if you consider the convenience of being able to slip in and out of your shoes in seconds and the comfort fit for your feet, this is actually quite a bargain!